Apple has discounted the first-generation Apple Watch by $50 permanently, from $349 to $299, which is a hint that the Apple Watch 2 is soon to arrive. But what would you say if you could get the Apple Watch for the low, low cost of just $49? Yep, a new deal with electronics chain Best Buy will allow you to do just that -- on one condition, however. What is that condition? You must purchase an iPhone 6s or iPhone 6s Plus, Apple's latest smartphones, along with the Apple Watch to see the Apple Watch price decrease by $250. This means that you'll have to purchase an iPhone (one of the latest-generation models) and do so with carriers AT&T, Verizon, and Sprint to take advantage of this Father's Day offer. Additionally, the $250 price drop is on all models, so you can get the Apple Watch Edition, for example, for $250 less than ever with the purchase of one of Cupertino's latest smartphones. The promotion, having started yesterday, will run until June 25th, so you've still got time to decide if this is the offer for you. The iPhone 6s and iPhone 6s Plus are two industry-leading smartphones, bringing users the best in Apple camera tech along with iOS 9 and its added features such as a new low power saving mode and app thinning, a feature designed to reduce the amount of app code that consumes more space on your device. The iPhone 6s features a 4.7-inch display with a 750p screen resolution, a dual-core processor and motion co-processor, 2GB of RAM, 16GB of storage, a 5MP front camera, 12MP back camera with 4K video recording, and an ~1,800mAh battery. The iPhone 6s Plus, its superior "sibling," features a 5.5-inch display with Full HD (1920 x 1080p screen resolution), the same specs and innards with the exception of optical image stabilization (OIS) on the back camera and a 2,915mAh battery. The iPhone 6s starts in pricing at around $199 with a two-year agreement, while the iPhone 6s Plus will cost $299. Of course, prices on these smartphones are dropping by the day, so it's likely you can land either of these for quite a bit less. The deal doesn't explicitly state that you can't purchase these outright if you don't want to tie yourself down to an agreement, so it appears that this is another option (though most individuals looking for a deal will sign an installment plan instead of the traditional two-year and take advantage of the discounted smartwatch deal). Best Buy is well-known for its gadget promotions and offers, giving customers the best in high-end tech with the best price discounts. 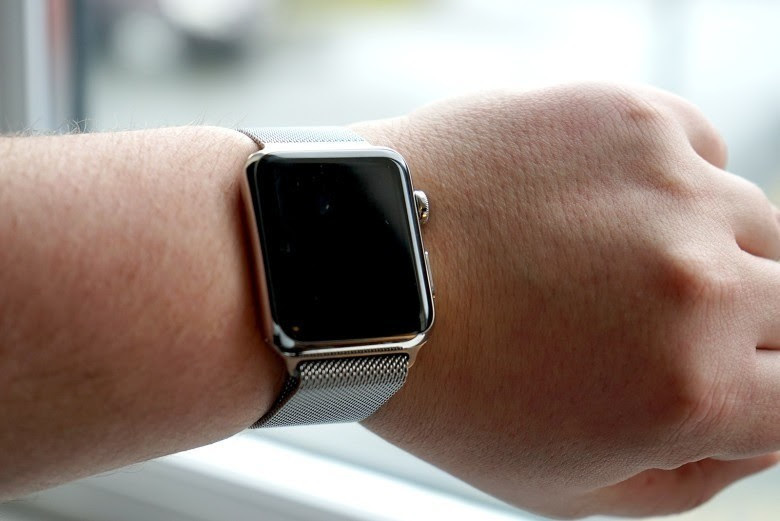 The retailer discounted the Apple Watch by $100] for interested buyers. The best Apple Watch discount, so far, has been [the recent $200 Memorial Day discount just last month. Are you ready for this deal? Would this make the perfect gift(s) for your father, brother, uncle, nephew, or grandfather for Father's Day? If so, Best Buy is waiting.